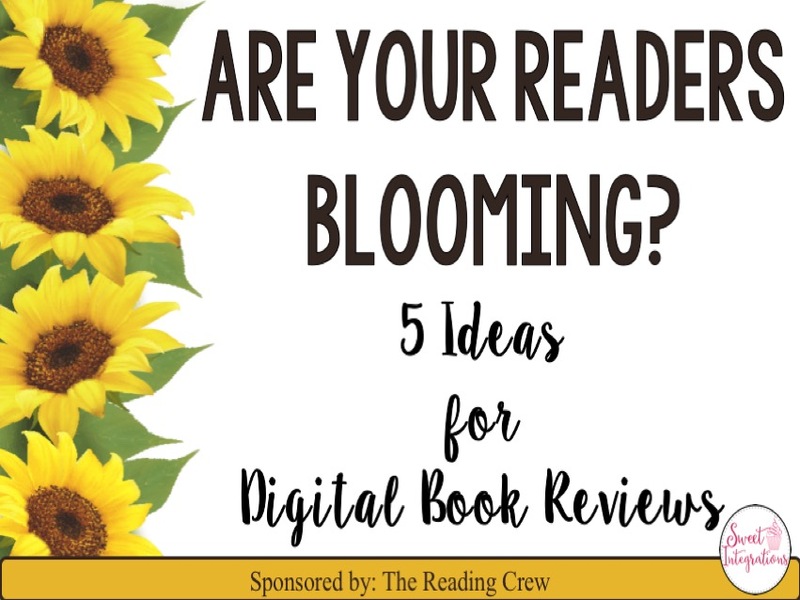 I've joined friends from the Reading Crew to share our ideas and resources to help your students BLOOM in reading. Be sure to enter our raffle and visit each blog for FREE resources. We have $625 in prizes! 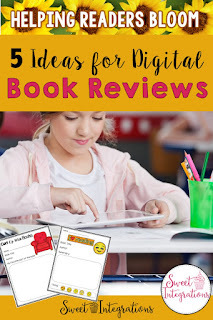 When you assign book reviews to your students, would you like alternatives for home projects or written reviews? I have 5 Ideas for Digital Book Reviews that may help you next time you assign book reports to your students. At the bottom of the post, you can download your FREE templates. 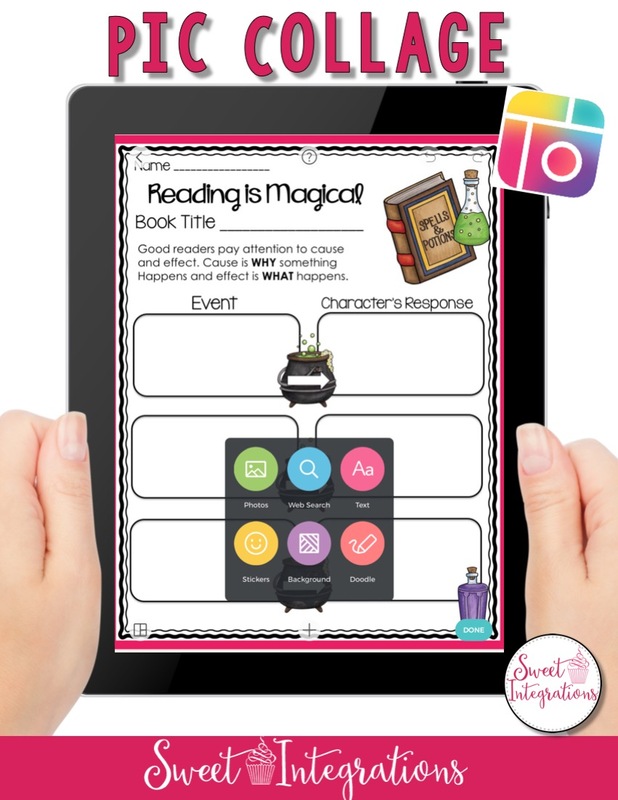 With these apps and websites, students have the opportunity to be creative and reflect on the books they are reading. 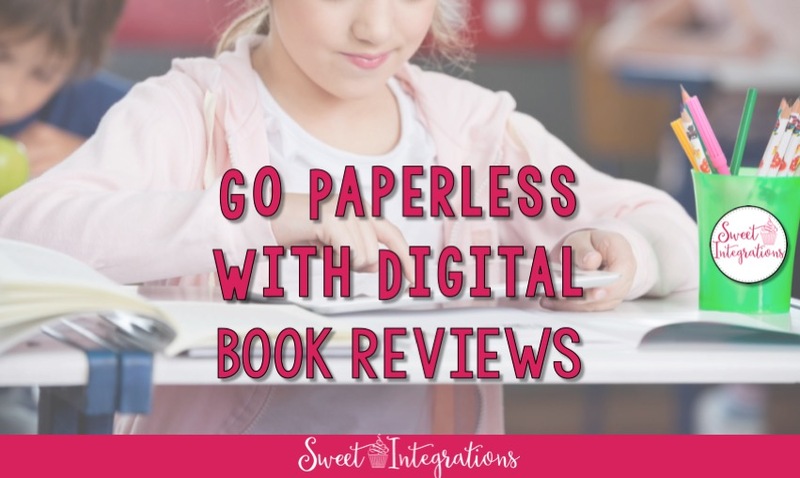 Using these digital activities will save you time in grading, help students so they don't lose their work, and improve student accountability. You'll be amazed at the resources that are available for you. Students can collaborate and work in cooperative groups on digital projects. I've created templates that can be used with these helpful applications. I created my templates with PowerPoint and saved the slides as images. You can select which template you would like your students to complete for the book, or give students a choice for differentiation. Students can add text boxes to the slides to add the information. 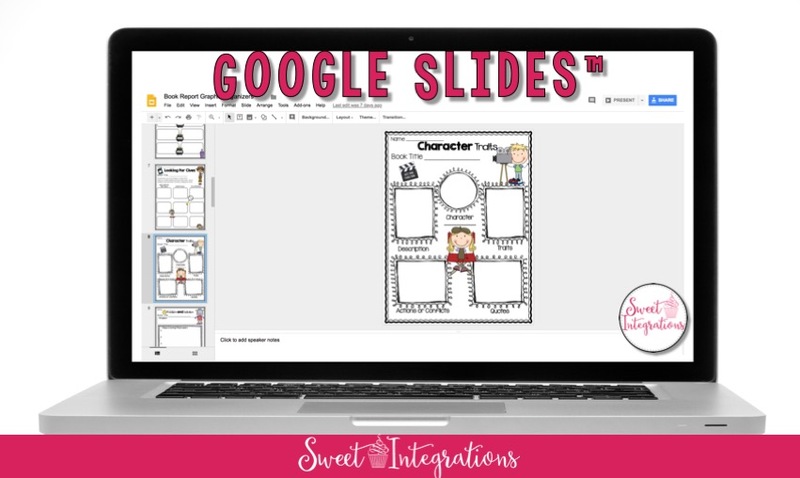 These Google Slides™ can be duplicated easily so you can use these over and over again. Plus, these slides are saved on Google Drive™for future activities. They're easily accessible. I love Pic Collage because it's such a versatile app. Students can draw, add fun fonts for text, add images, and select from a variety of backgrounds. Again, the template was created in PowerPoint and saved as an image. Students can add text to the template and use their creativity with images and drawings. Book Creator is one of my favorite apps. It's now available for Chrome. 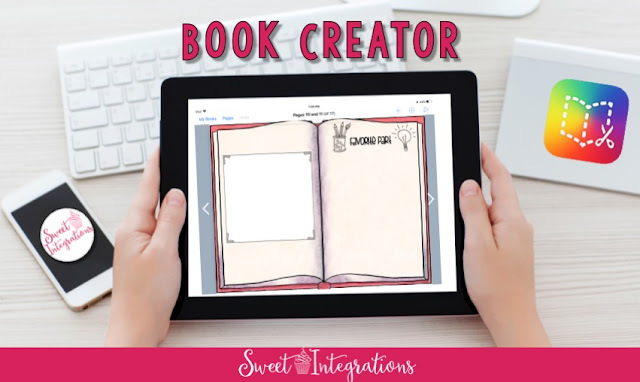 Students can create their own books with Book Creator or add templates to complete. You can add additional pages with templates. 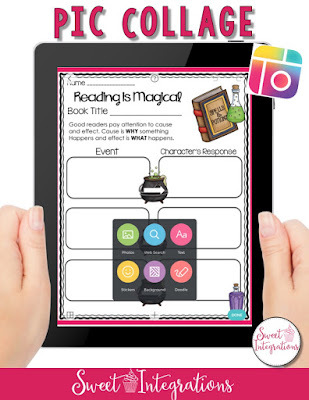 With Book Creator, students can record their voices, add text, video, or images, take photographs, and draw. You can take a look at the video below to learn more. You can use comic apps, websites, or create your own to use for book reviews. I found this template on Deposit Photos. You can set it as a background on Pic Collage, Book Creator, and Google Slides. Many reluctant learners love comics. Just add call outs, text boxes, and saved images or ones found on the Internet. If you want simple clipart and not photos, I recommend typing clipart next to the search word to have appropriate images. To learn more about Teaching with Comics, take a look at my blog post. 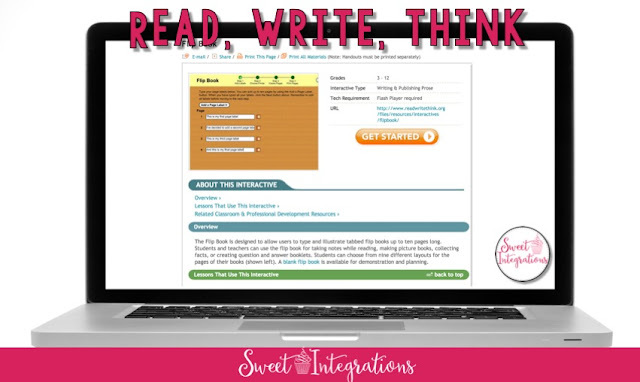 Read, Write, Think has excellent resources for grades k-11. You can select your grade level, subject, learning objectives, and type of resource. 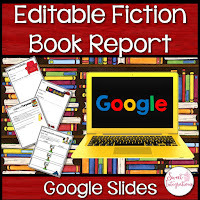 Suggestions for book reviews are: Book Cover, Bio Cube, Flipbook, Graphic Map, Plot Diagram, Story Map, and Printing Press. Just click on the image below to download your FREE templates for digital book reviews. For the complete Google Slides™product, click on the image below. 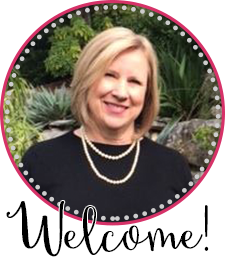 Your next stop is Lucky Frog Learning where Jenny will share how she guides students to synthesize multiple texts. Wow, Sandy! These are amazing! Thank you for a great freebie.